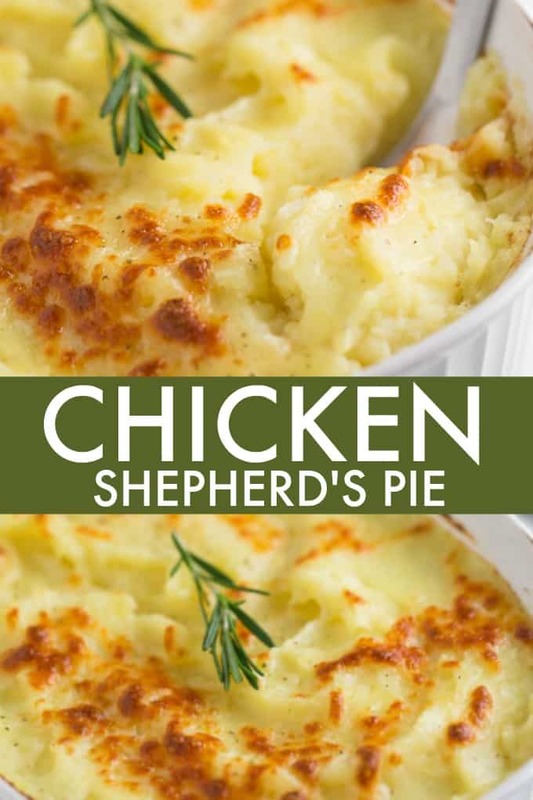 This Chicken Shepherd’s Pie is not your mama’s Shepherd Pie! This version is made with a creamy curry sauce that is out of this world. Topped with a heavenly layer of mashed potatoes and Parmesan cheese, this comfort food recipe will not last long. Mmm good. John says I don’t make enough potato recipes. He was right. I had been making his favourite starchy side over the last few months. On my last grocery shopping trip, I bought a big bag of potatoes to appease his cravings. I made a yummy slow cooker mashed potato recipe and a scrumptious Chicken Shepherd’s Pie. Two points for me! This recipe isn’t the traditional one for Shepherd’s Pie. I favour chicken over beef these days. I get more bang for my buck with chicken. And yes, I do a lot of chicken recipes. When I was making this recipe, I decided at the last minute to add curry powder. I’ve made Curried Chicken Pasta Salad before and loved the flavour. It was an impulse decision that paid off. 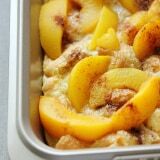 It added an extra element of yumminess that the whole family enjoyed. This recipe would also work well with leftover chicken and mashed potatoes. 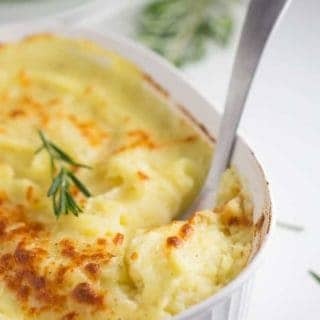 I know some of you have told me that there is no such thing as leftover mashed potatoes, but just in case, keep this recipe in mind for the future! You never know, right? The first thing you need to do is to cook the potatoes. Hard, lumpy potatoes won’t work for this recipe. Boil a large pot of salted water on the stove. Add potatoes and cover. Cook for 15 minutes or until potatoes are tender. I check mine with a fork. Drain the water from the potatoes. Add in milk, salt, pepper and butter. Mash until nice and smooth. 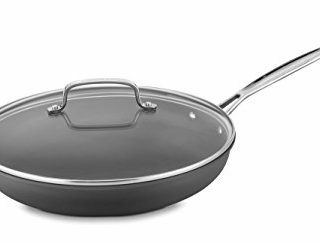 In a large pan, melt butter over medium heat. Add in the onions and garlic and cook for about 5 minutes. Stir in the flour. Whisk in milk, Dijon mustard, lemon juice, rosemary and curry powder. Continue whisking until the mixture thickens. Add in the chicken and frozen vegetables and stir for another 3 to 5 minutes. Now to assemble! 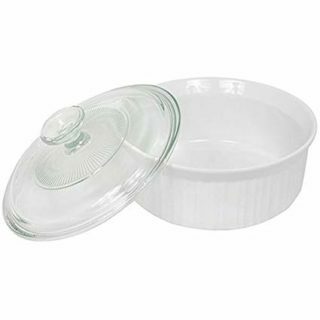 I used a 1.5 quart casserole dish. Spread the chicken mixture on the bottom and then add the mashed potatoes to the top. Sprinkle on Parmesan cheese. Broil for 5 minutes or until the cheese melts. Serve hot. 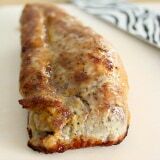 I know a lot of you love freezer friendly recipes. Yes, you can freeze Chicken Shepherd’s Pie to enjoy at a later date. I would eat within 3 months of freezing. Make a few batches so you have more to enjoy! 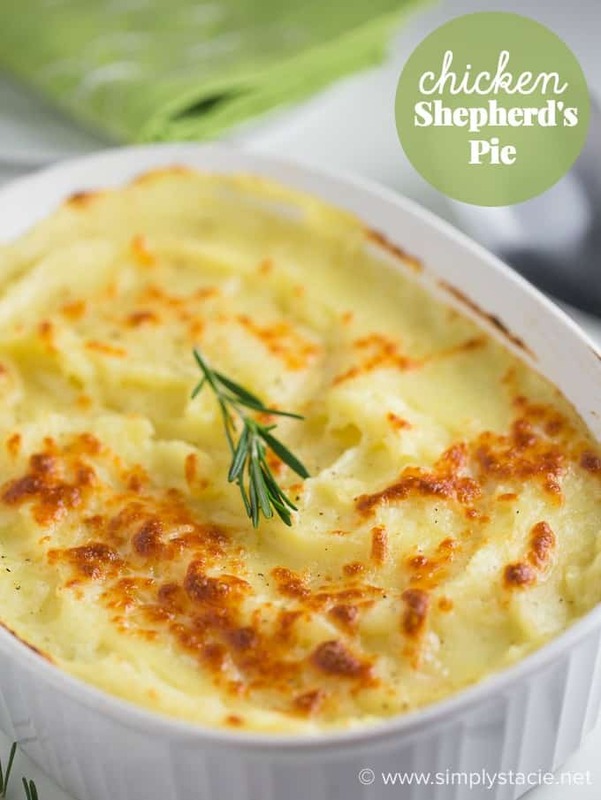 Love Shepherd’s Pie? Me too. Good news. 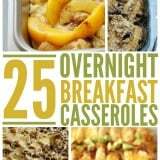 I have a couple more recipes for you to try. Healthy Shepherd’s Pie: A comfort food classic recipe gets a makeover. 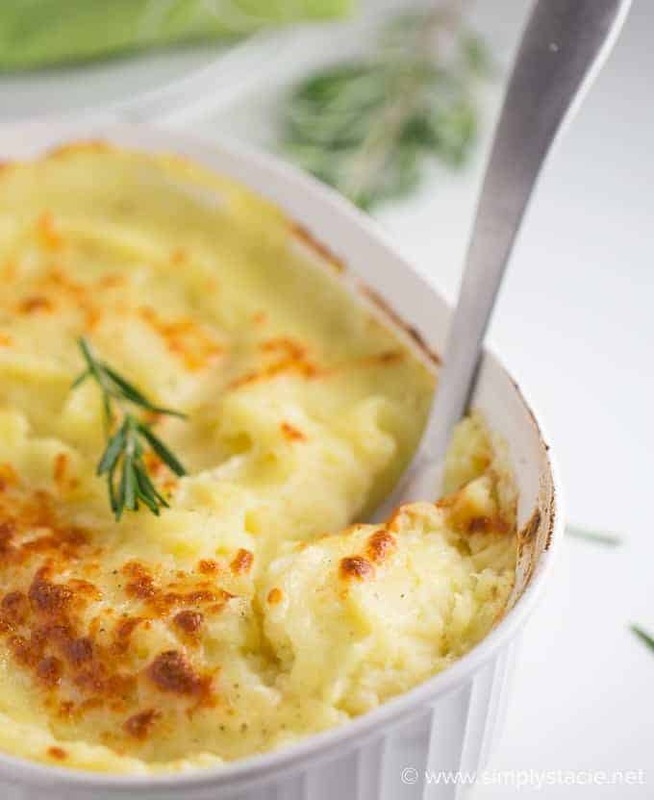 This Healthy Shepherd’s Pie has a mashed cauliflower topping and fibre filled filling. Delish! Beef Picadillo Shepherd’s Pie: Low carb comfort food at its finest! You won’t miss the mashed potatoes. How do you make your favourite shepherd’s pie? Not your mama’s Shepherd Pie! This version is made with a creamy curry sauce that is out of this world. Topped with a heavenly layer of mashed potatoes and Parmesan cheese, this comfort food recipe will not last long. Mmm good. 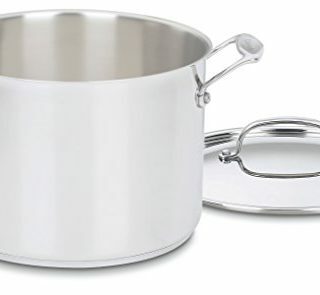 Boil a large pot of salted water on the stovetop. Add in potatoes and cover, cooking for 15 minutes or until potatoes are tender. Drain. Add in 1/2 cup milk, salt and pepper and 1 tbsp butter. Mash until smooth. Set aside. 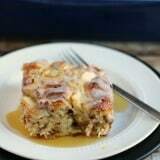 In a large pan, melt 1 tbsp butter over medium heat. Add onions and garlic and cook for about 5 minutes. Stir in flour. Whisk in milk, Dijon mustard, lemon juice, rosemary and curry powder. Continue to whisk constantly until it reaches a thick consistency. Add in chicken and frozen vegetables and stir for another 3 to 5 minutes. Spread chicken mixture in a 1.5 quart casserole dish. Spread mashed potatoes on top. Sprinkle on Parmesan cheese. Broil for about 5 minutes or until cheese melts. Serve hot.